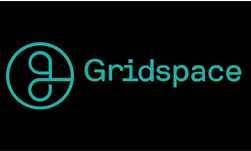 Gridspace, a southern California-based company, recently presented an end-to-end deep learning based-solution that can allow businesses to automate the call center process by using NVIDIA GPUs on the cloud. In an example shown at GTC Silicon Valley, the company presented a video of an AI generated voice interacting with a customer as if it were a real person. The tool has the potential to allow call center agents to focus on the more humanistic tasks. The automated call center agent as a system is able to solve many complex tasks in real time, such as helping a customer reset a lost or forgotten password, or replace a stolen debit card. On the backend, the company uses NVIDIA V100 Tensor Core GPUs on the Google Cloud with the cuDNN-accelerated TensorFlow deep learning framework, for both training and inference. With TensorRT, the company’s system is capable of synthesizing speech in a natural and low latency manner. The system can also solve many complex commands, as well as recognizing features such as emotion, sentiment, and call grading. “This is the most realistic speech synthesis model you’ll ever hear,” Scodary said. “Getting that natural voice was a real challenge to fit inside our latency budget so we really had no choice but to go to GPUs,” said Alex Barron, the company’s lead machine learning engineer. “We’ve been using TensorFlow for that model and it so happens that there is great integration with TensorRT and TensorFlow, so we deployed our model through that and we got some great speedups, about one and a half times from compiling it to a lower precision to FP 16. That 50 percent really affects the interaction and how natural it feels,” Barron said. You can watch a replay of Gridspace’s GTC talk via this link.